Has a recent visit to a senior or aging loved one over the holidays revealed that they may need more assistance in and around their home? Perhaps you noticed a new odor in the home that may be a sign of an incontinence issue. Was the house looking unkempt, perhaps a sink was filled with dirty dishes or piles of mail were stacking up? Did you notice little to no food in the fridge? Or any other sign that caused you to pause and wonder how long they may be able to live like this in their own home? As studies reveal, most aging Americans want to remain in their own home. 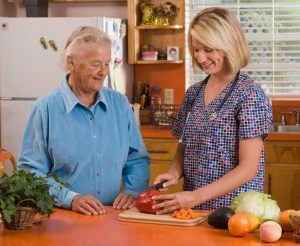 Home care and home support services may be a viable alternative for seniors whose goal is to age in place at home, but may need assistance with activities of daily living (ADLs) to do so. 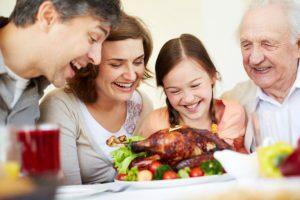 Home support services typically include shopping; preparation of meals; assistance with dressing, bathing, and personal hygiene; help with ambulation (walking, transferring from bed to chair, etc. ); transportation; and housekeeping. Services provided in the home by a paid in-home caregiver may be more cost efficient than moving to an assisted living facility, depending upon the amount of care and type of services the senior needs. It is important to do a cost comparison of services for individuals that have financial concerns. A way to obtain information on both options is to contact the local Area Agency on Aging (AAOA) and/or a geriatric care manager. Does the agency supply detailed information on fees and services provided? Do they require money up front or is it pay as you go? Are the workers licensed, bonded, and insured? What kind of training do they have? Who will supervise the client’s care and the employees who are sent out to the home? Do they provide free nursing oversight to clients on service? What kind of technology does the agency utilize to help family members in monitoring the care and/or scheduling? Can the agency also provide skilled care should the needs of the client increase? Can the agency supply references? Advanced Health Care caregiver, Sandra W. helps her client Mr. T. get outdoors and enjoy the views in the Pacific Northwest. If you have helped a loved one obtain a caregiver, continue to monitor the caregiver, whether it is an agency supplied caregiver or a personal hire you made. If you live close enough to your loved one, drop in unexpectedly. Ask your loved one about their experiences with the caregiver. If they seem uncomfortable or apprehensive, pay attention and investigate further. Though it may take time and energy, the dignity and sense of independence derived from living at home is well worth the effort of finding the right assistance.